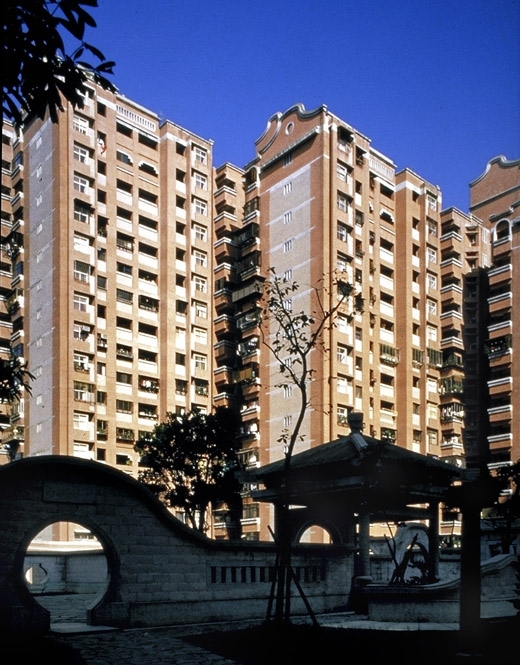 With over 30,000 square meters of green parkland in the Da-An Forest Park just across the road, as much space as possible was reserved for public areas to create a traditional Chinese style landscaped garden filled with flowers, trees and walkways, where residents can enjoy a quiet stroll. 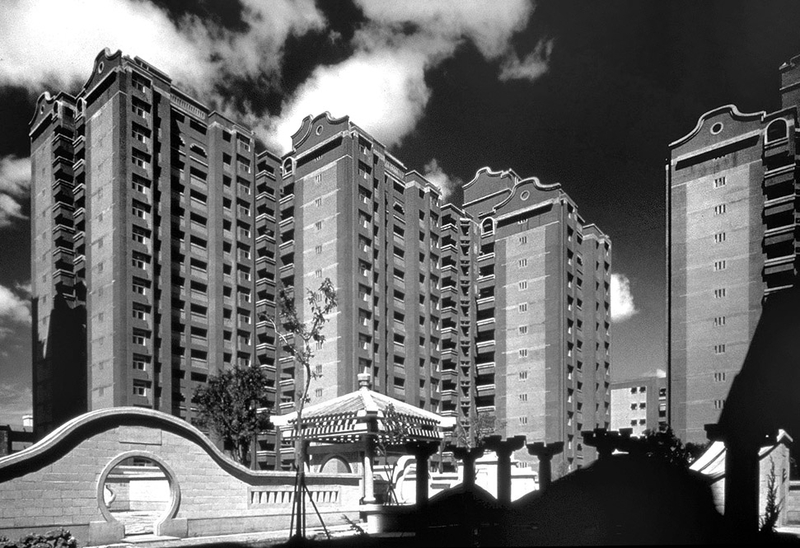 Seeking to create a “Chinese” style public housing architecture, the community was styled after a Chinese village with roofs and ridges at different heights. 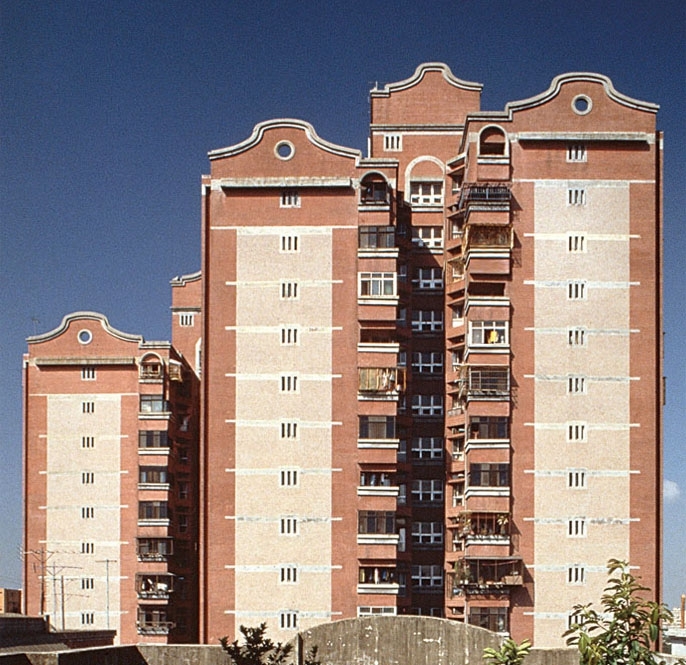 These variations shattered people's preconception of public housing as being mechanical and block like. Transplanting the traditional saddleback motif to the rooftops of the apartment blocks, the numerous buildings create a startlingly interesting sense of rhythm and aesthetic. The skyline also echoes the layered mountains of traditional Chinese landscape paintings, symbolizing the energy of the land and revitalizing the urban scenery.